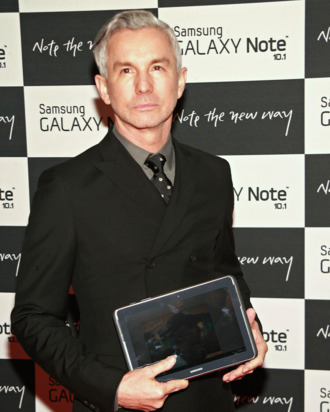 When we caught up with director Baz Luhrmann last night at Samsung’s “Meet the New Way” launch party, we tried our damnedest to find out why exactly he’d delayed his 3-D adaptation of The Great Gatsby from its winter berth to next summer. Did he simply need more time to tinker? It’s okay to be a perfectionist, after all. But a smiling Luhrmann would simply not budge. “I will tell you this, I’m just very nourished by just working on it,” he told us. “I’m just thrilled.” And a little busy? Maybe too busy to make a December release date? “Right now I’m working on music. You can imagine how involved I am in the music alone.” Noted!